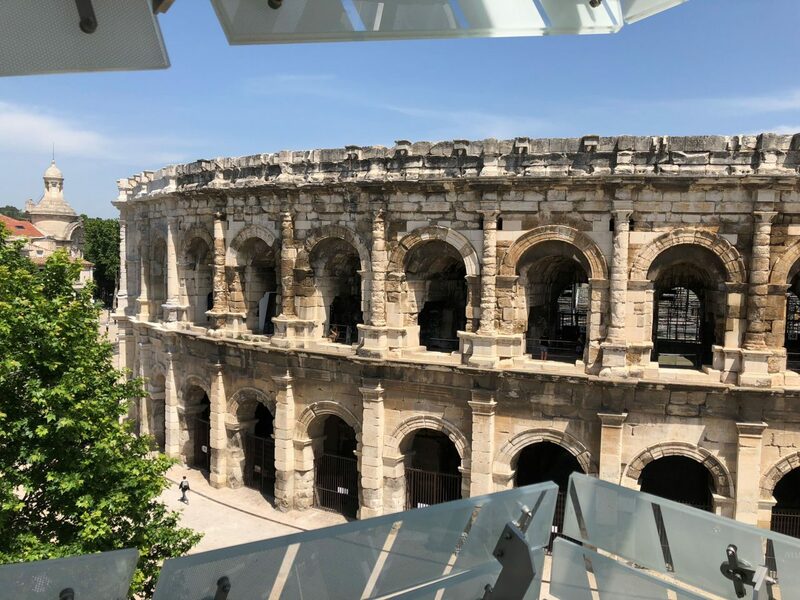 The Museé de la Romanité lies on an exposed site opposite the amphitheater in Nîmes and examines the influence of Roman times on the city with the help of around 5,000 exhibits. 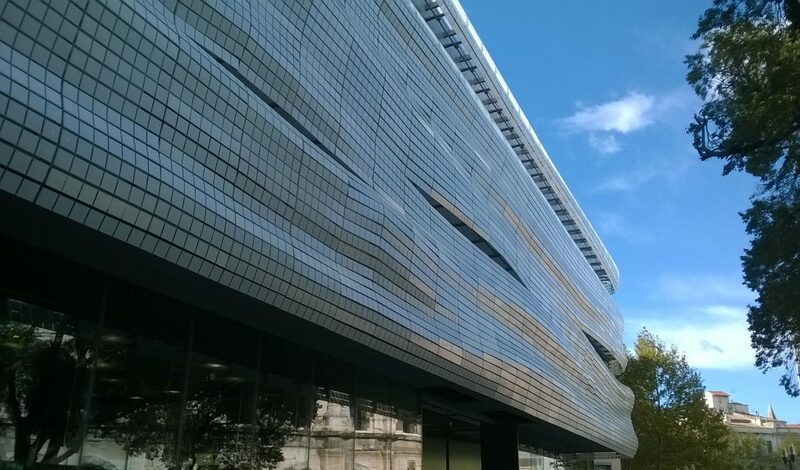 The imposing stone architecture of the amphitheater is in stark contrast to the transparent, lightweight facade structure of the museum, which is embellished with horizontal waves made of glass squares. 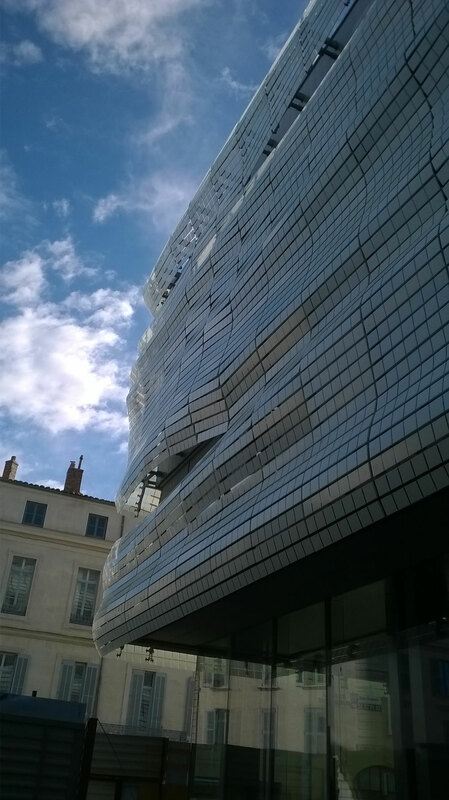 The outer shell of the double-skin facade consists of a mosaic of 7,500 screen printed glass elements wrapped around all four sides of the main building of the museum. 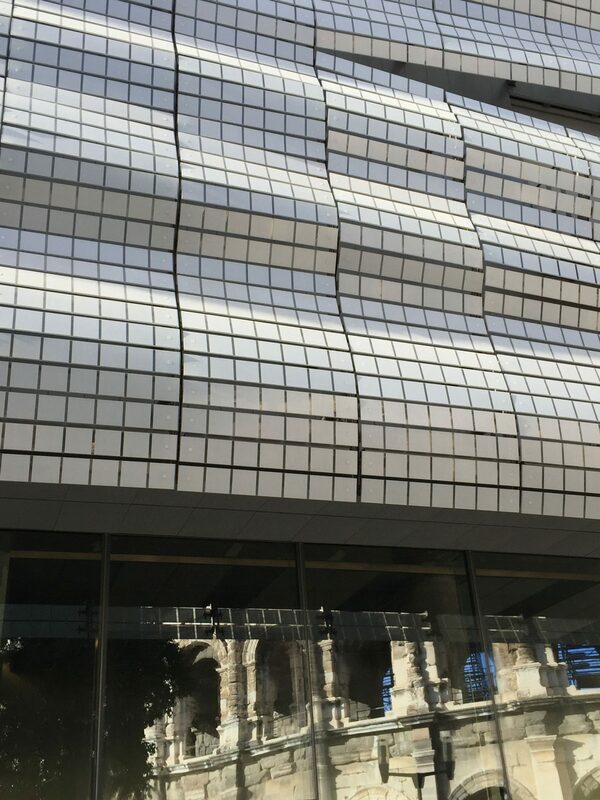 The outer facade is not insulated, but the screen printed glazing units contribute to the overall thermal performance of the building. The substructure of the fixed louvers consists of undulating lasered steel struts. The double-curved facade plays on the Roman heritage of the city and is designed to resemble an elaborately draped Roman toga.